PERFECTA high-speed cutters combine innovative technologies, solid design and high-performance electronics. PERFECTA high-performance peripherals can help to automate and optimize working processes before, during and after cutting. Experience our products in action on our youTube channel. The newly developed PERFECTA ECOLine stands out due to its particularly attractive cost-benefit ratio. 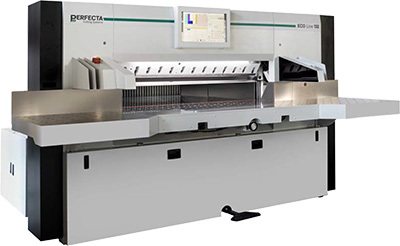 The machine series that is based on the reliable and tried and tested PERFECTA technology facilitates economic cutting without any compromises in terms of the quality, reliability and safety.